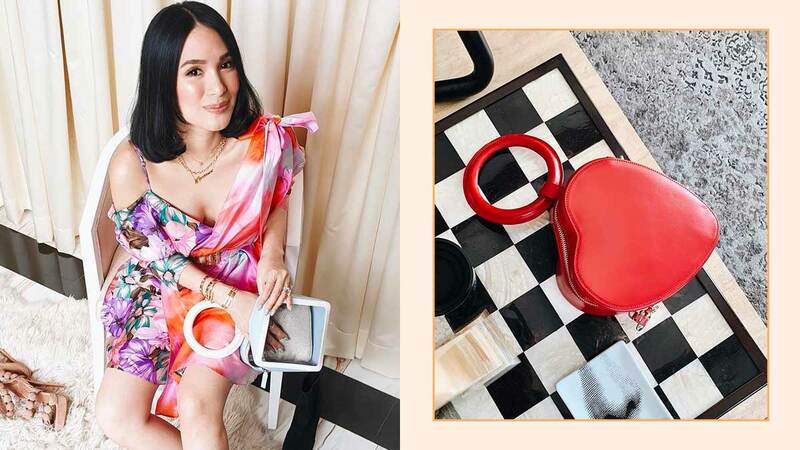 Heart Evangelista is known for her penchant for designer bags and shoes. Apart from her expansive collection of Hermès Birkins, the local actress also favors another Parisian bag label: Sequoia. And in case you haven't heard, she's even an ambassador for the brand! Below, get to know more about the French brand and why it's a big deal. Sequoia is a Parisian brand known for its streamlined collection of handbags and luggage. Founded in 1988, it was the brainchild of Daniel Sisso and fashion designer Pierre Hardy. Now, it is headed by Lancaster's Thomas Tchen, who bought Sequoia in 2012. Pierre continued to work on the brand as its artistic director (until present) while he served as a shoe designer for Christian Dior from 1987 to 1990 and as Hermès' creative director for shoes and fine jewelry in 1999, even when he started his namesake brand in the same year, and also from 2001 to 2013 when he worked with Nicolas Ghesquière for Balenciaga footwear. Sequoia is popular for its selection of good quality leather goods, specifically handbags. Promising accessible luxury, the brand is also an instant favorite for its timeless and elegant designs. In fact, its brand vision is hinged on "simplicity, innovation, and audacity." Sequoia can be easily identified with its signature ring emblem that appears across all of its bag designs. The brand says it symbolizes "perpetual renewal," that is underlined by the distinct minimalist style Pierre had created for Sequoia since its inception. Despite being a presence in the global fashion scene for decades, Sequoia is a discreet name in the Philippine fashion scene. That is, until the Parisian brand tapped Heart Evangelista to be its brand ambassador. Heart previously shared in an interview that she's been a fan of the brand's products especially the Cube bag "for its versatility and uniqueness." And with the many inquiries that Heart's Insta posts of the bag generated, Sequoia was intrigued and eventually decided to work with her, thus putting the brand on the radar of our local fashion scene. Now, Heart continues to partner up with Sequoia, taking their relationship up a notch by working on a limited edition line designed by Heart herself. Sequoia is located along Rue Saint Honoré in Paris, France. Their products are also available for purchase online. Locally, it is carried by Distinqt boutique situated in Shangri-La at the Fort, Bonifacio Global City.